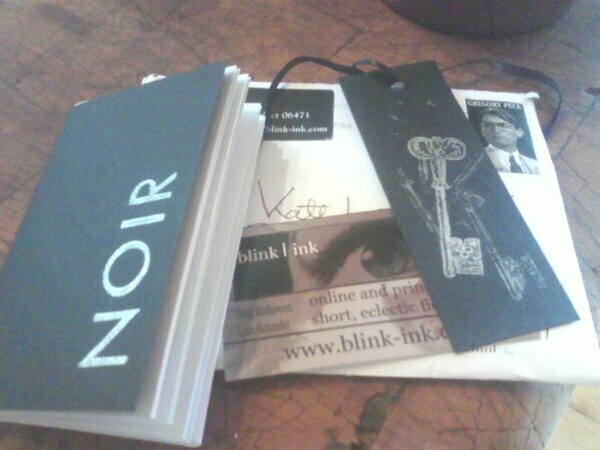 Here’s the lovely package you get when you order the Noir issue of Blink|Ink. And you will order it, won’t you? It’s got a lovely story by me and gruesomely hilarious one by Mr B (Paul Brazill) and loads of great photography as well as some terrific stories told in a flash — and for just two bucks! A gorgeous little bit of mail to receive. I should also mention that the Scribing Ibis collection is now available at Amazon. It reprints my story “Sinikka Journeys North” along with a wealth of myth-inspired fiction. 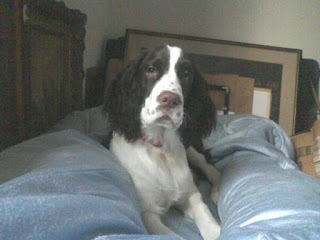 I had planned to have a bit of a lie in this morning, but this was not allowed. 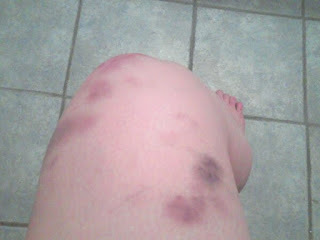 Yes, multiply this by all the limbs (and stomach: how do you bruise your stomach? Very easily it turns out). Sore all over. The bruises will heal. And less achey already.